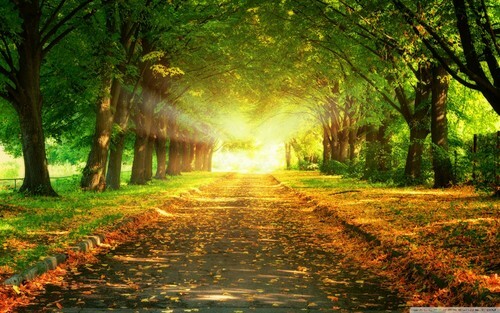 autumn-path-wallpaper-. . HD Wallpaper and background images in the 美图 club tagged: photo autumn wallpaper beautiful. This 美图 wallpaper contains 榉木, 山毛榉树, 山毛榉, 槲树, 活橡树, 橡树, 加州白橡木, 橡木谷, 谷白橡木, 白橡木, 栎野葛, 加利福尼亚白橡木, 谷橡树, 栎树, 橡树谷, 罗布莱, and 栎葛根. There might also be 树, 杨树, 杨树树, 桦树, 桦木, and 白桦树.